You are here: Home / ChangiLog / Community / NTUSC goes Sailing! With wind in their sails, the Nanyang Technological University Sailing Club (NTUSC) started sailing at Changi Sailing Club (CSC) in August 2018. Besides sailing on the club’s Platus-Boreas and Notus – every week, the active sailing community at CSC has also given us the chance to sail on their boats which is an eye-opener and rare opportunity to learn more about different boats and improve our seamanship. It also allows us to learn concepts that we can bring back to our own sailing and we are grateful to the different teams for having us on board. We have also received help frequently from the various boat owners, CSC members and the operations staff at CSC. We appreciate the help from everyone and will return the favour back some day. At CSC, we got to interact with an international community from all walks of life through various activities such as the Ambassadors’ Cup, monthly Members’ Night and gatherings after a club race. The CSC members also give back to the society via the CSC Community Outreach Programme, which we are also glad to be a part of. Some of the activities include the CSC Eco Sailing Day, Goodwill Cruise to Nongsa and the Joy Sail for the Rainbow Centre (Yishun Park School). Every start of a new school semester in January and August, NTUSC organizes a fun sail where people from the NTU community who are interested to join sailing can experience for themselves what it is like on a sail boat before making a more informed decision. For the recent fun sail in January, about 80 people from the NTU community turned up and we were able to bring them out on the Platus and on Skybird with the help of Edwin owner of Skybird and GM of Changi Sailing Club. For most of the participants, it was their first time sailing and we are glad that everyone enjoyed themselves. Outside of CSC, NTU emerged as the First-Runners Up in the inaugural Inter Tertiary Match Racing organised by Singapore Sailing Federation. 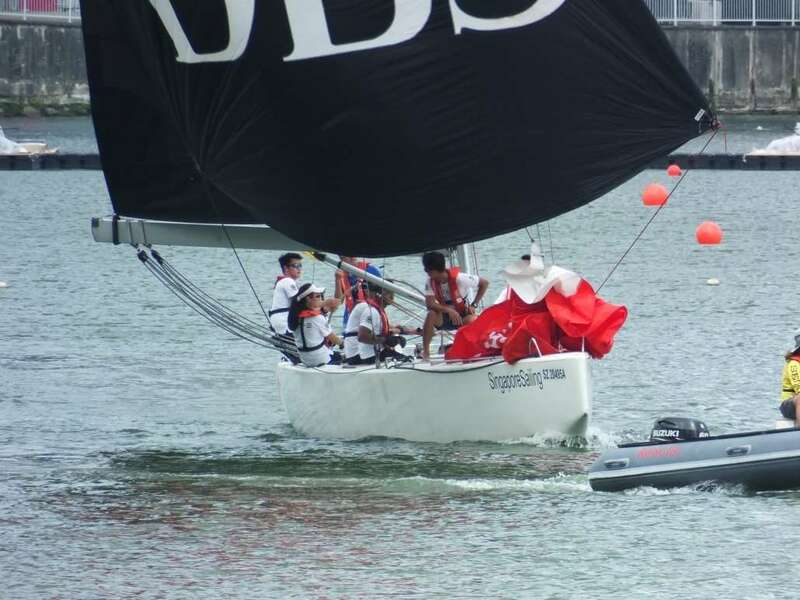 Every tertiary institution was invited but only one team from NTU, three teams from the National University of Singapore (NUS) and a team formed by sailors from different tertiary institutions took part in the match racing. Singapore Polytechnic and Singapore Management University were unable to participate due to various constraints. Helmed by Jevyn Ong with Samantha Yom on the Mains, Jeremiah Guo on Trim, Putra Syafiq on Pit, Danial Norman Tan on Mast and Koh Yi Qian on Bow, we really gave the other teams a run for the title when we won seven out of eight races in the first two days and on the last day qualified for the finals. In the Finals, victory goes to the team that wins two rounds first. After two intense matches between NTU and NUS where the score was tied 1-1, NUS came in just seconds before us in the last round. In all, it was a good experience for the team, where we got to sail on the SM40 and pit our skills with the other schools before meeting again for the Inter Tertiary Fleet Racing in June. It has indeed been an exciting and eventful first 6 months at CSC, and we are thrilled to see what the rest of 2019 brings for this NTUSC x CSC Partnership. https://csc.org.sg/wp-content/uploads/2019/02/Inter-Tertiary-Match-Racing-3.jpg 3456 4608 CSC https://csc.org.sg/wp-content/uploads/2018/04/changi_sailing_club_logo_round.png CSC2019-02-11 16:16:402019-02-11 16:22:14NTUSC goes Sailing!